There are startups these days that take care of roti, kapda and makaan needs. If you’re hungry, you call Foodpanda. If you have a party to turn to and can’t find anything to wear, you have Myntra to the rescue. And Housing.com provides, well housing, and loads of gossip to boot. But India Inc. is also home to startups that fulfil needs that you didn’t even realize you had. These startups are quirky, zany, and are solving some very unusual problems. We trawled the length and the breadth of the Indian startup ecosystem to find out the most outlandish startup ideas that are being worked on. Here are the top picks. God knows we need our Wifi, but more importantly, we need to keep our surroundings clean and use the garbage bin more than we do. Pratik Agarwal and Raj Desai after having traveled to Europe hit upon the idea of a Garbage Bin that doubles up as a WiFi hotspot after it’s received trash. Under their startup ThinkScream, they also provide other innovative WiFi and RFID solutions for events, festivals and retail setups. Life is not easy for the differently abled in India. Especially, when it comes to marriage. Founded by Kalyani Khona, Wanted Umbrella is the only startup of its kind that provides a Shaadi.com like matrimonial and dating platform for the differently abled. If you wish to get your dogs trained without needing to inflict cruelty, and also let them have fun once in a while with other dogs, Mumbai based BarkNBond has your furry lil one covered. Started by Pranita Balar who quit a media job and is a certified “Canine Consultant & Dognition Evaluator”, is on a mission to strengthen the bond that people share with their pets that holds the potential to be one of the most loving and fulfilling relationships. 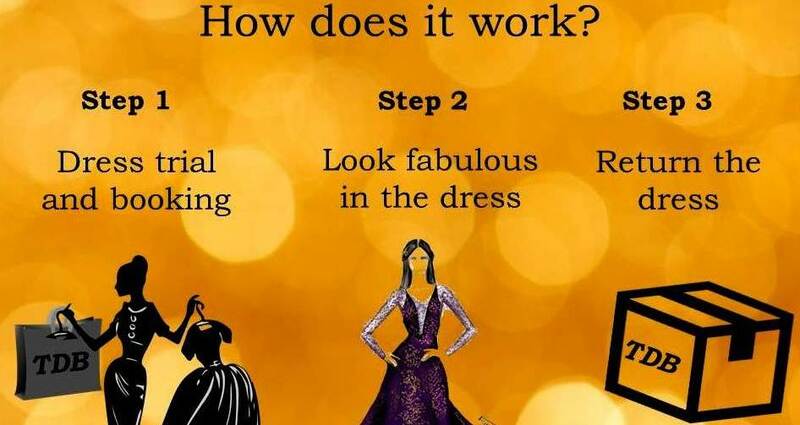 Now renting dresses is one way to have a fresh wardrobe, but what if you wanted to own your wardrobe without needing to splash out too much dough? Startups like Elanic are combining tech and a girl’s need to have a massive wardrobe for just that. Elanic lets you list your old dresses on a neat app which can be purchased by prospective buyers. 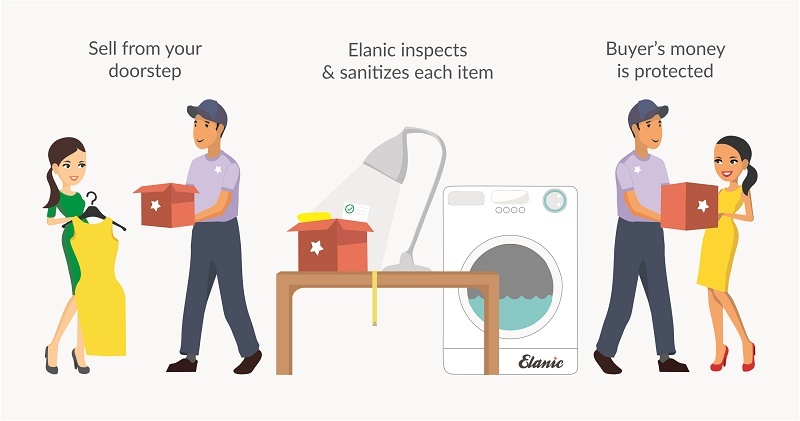 The logistics of pick up of the clothes from the seller and shipping to the buyer are all taken care of by Elanic. So, you have a massive twitter following and all you’ve used it for so far is generate RTs, a few laughs and shape opinion along the way. Wouldn’t it be amazing if all your hard work, smarts and consistency in tweeting could be leveraged to mint money? They heard you. Blogmint is one platform where influencers both on Twitter and blogs- could list themselves and be paid for their tweets and blogs promoting a brand. In your busy schedule, where’s the time to throw an elaborate surprise party for your family? Or have a romantic candlelight dinner with your SO? Relax, Hyderabad-based startup OyeHappy takes care of all your gifting and surprising needs by providing some great ideas that range from Harley bike rides, candlelight dinners or even surprising your special ones at the airport with a bear hug! It’s not rare for parents to have the heebie-jeebies before telling their young ones about the birds and bees. Add to the awkwardness is a conversation about sexual abuse, and challenges of puberty (remember the conversation your mum had about “becoming a woman”?) The Startup “HowToTellYourChild‘ makes fun videos to educate your child about serious but rather awkward topics in a fun, informative, and less awkward way. Imagine if you and your grandma could take the blessings from a holy site on a website? That’s what Online Prasad aims to do by arranging prasad from over a 100 temples to be delivered at our doorstep. 100% pure and pious, as Radhe Maa would say. If the above ideas made you go “I want to smoke what they’re smoking”, this startup lets you do just that. The Delhi based startup Indiabongs is a one-stop shop for all your smoking needs. Bongs, chillums, papers and some crazy paraphernalia, they have everything for the higher purpose in life. Food wastage is a huge problem in India. Feeding India acts as a platform to connect people or institutions such as hotels and restaurants with non-governmental organisations or volunteers that are engaged in collecting and distributing leftover foods. 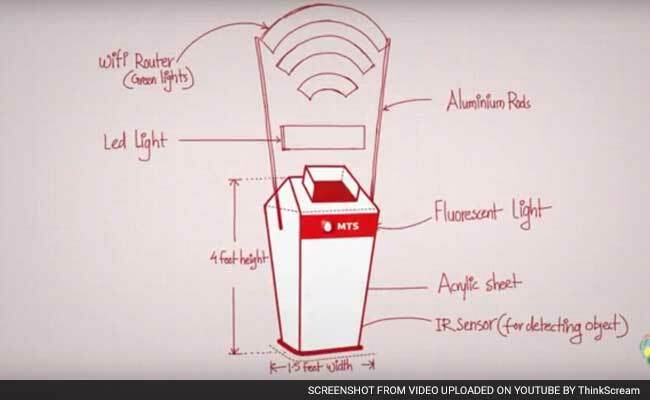 Hritesh Lohiya literally found his fortune in a trashcan. His startup Priti International recycles industrial and consumer waste into useful products. 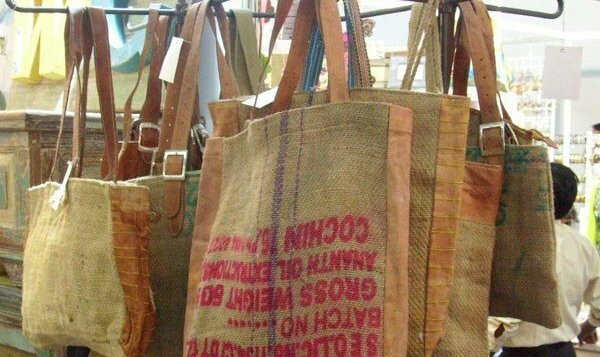 This $10mn firm designs and manufactures various handmade products out of waste materials, like handbags from old gunny bags, cast off military tents and denim pants. They also produce furniture from waste tins, drums, old military jeeps, tractor parts, waste machine parts and lamps from old scooter and bike lights. In India, Counselling is still not a common and acceptable recourse to seek when the blues hit. But what if you could pour your heart out to an online counsellor, anonymously, and get well-informed, well-meaning advice? That’s what Puneet and Richa aimed to do when they quit their jobs at McKinsey and founded YourDOST, an online emotional support system. What if you could get a soothing and stimulating foot massage right in your cubicle, or you want to send some TLC to your SO who works so hard? The spa’s at literally at your feet now with TheHappyFeet, a startup that lets you book foot massages and other foot treatments at your doorstep. While there’s no dearth of gyms for your physical fitness and strength, what about a mental gym? And we ain’t talking about one that featured in AIB’s viral video with Alia Bhatt! Founded by Nick Ratterman and Krithika Kumar, ex-Cornell University researchers, Bangalore based Better Brains is a startup that organises a holistic cognitive programme to help sharpen your brain. The programs integrate many activities, including neurobics, physical exercises, yoga, meditation, nutritional counseling, and more. Always winced at the sight of kilos of fresh flowers offered to the Gods at the places of worship only to see them wilted and turn up as trash in the rivers the next day? Kanpur based, HelpUsGreen makes “flowercycled” natural and certified organic products from the river Ganges waste. They collect flower waste from places of worship and repurpose it into vermicompost, luxury incense and bathing bars through proprietary methods. Losing a loved one is a most difficult time in everyone’s life. You want to honour the departed with the most appropriate and respectful last rites. However funeral proceedings can be difficult and confusing for most people. 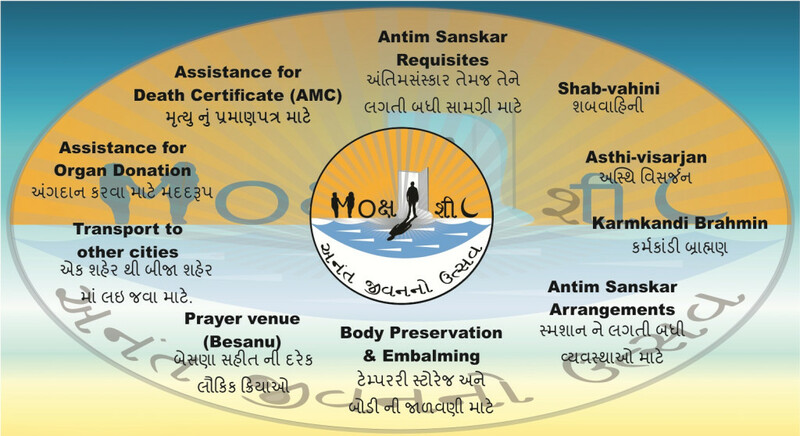 Moksh Shil lets you book most funeral services such a priest, mortuary van, and other cremation services from one convenient platform. Probably one startup you hope you never need to use.